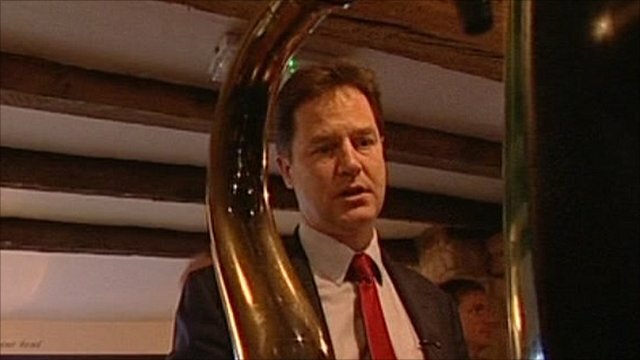 Clegg: 'Treat people like adults' Jump to media player The Liberal Democrat leader Nick Clegg has called on all politicians taking part in the referendum campaign to "treat people like adults". 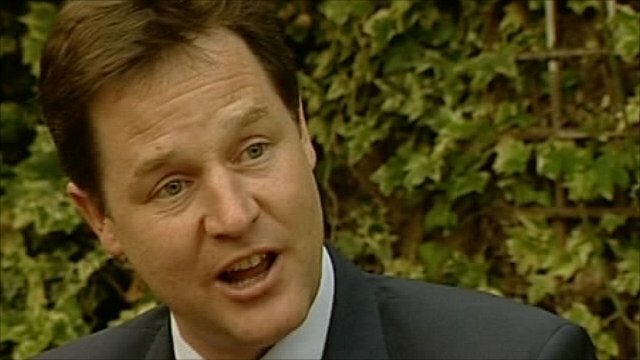 Nick Clegg has called for an end to the "mudslinging" in the debate on the AV referendum and for both sides to treat the public "like adults". Campaigning ahead of English council elections and the 5 May referendum, the Lib Dem leader told the BBC that voters were turned off by "personal vitriol". Nick Robinson caught up with him on the campaign trail.